April 13, 2005, Washington, DC. I appreciate the opportunity to testify today on the U.S. Dominican Republic Central America Free Trade Agreement (DR-CAFTA). It is a long and winding journey that brings me before this committee today. I began my career over thirty years ago working on behalf of animals. Throughout my career, I have worked on the Law of the Sea negotiations, the International Whaling Commission, Tuna-Dolphin, Shrimp-Turtle and other issues concerning the humane treatment of animals. I was on the streets of Seattle with hundreds of folks in turtle suits, which The Humane Society created, protesting the overreaching, at least in my opinion, of the World Trade Organization (WTO) into U.S. environmental and animal protection laws. In fact, I have never been accused of being a free trader or a globalization supporter. But, unlike organizations that seem only to criticize and complain, Humane Society International also recognizes when we think the United States has done something positive in this case, the environmental provisions of DR-CAFTA. Humane Society International (HSI) is the international affiliate of The Humane Society of the United States (HSUS), which was founded in 1954 and today is the largest animal protection organization in the United States with over 8.5 million members and constituents and a significant global presence. HSI and HSUS promote the protection of all animals with a wide range of programs and policies. 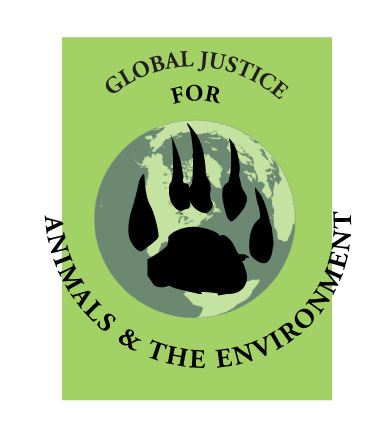 We have worked on international issues for over thirty years, focusing on programmatic animal-protection activities in Central and South America, Africa and Asia. HSIs international programs have addressed matters such as inhumane practices and conditions affecting companion and farm animals, the economic benefits of humane transport and slaughter, veterinary services in rural communities, illegal trade in wildlife, threats to endangered species, and humane and wildlife education. We also work on international policies at the United Nations and other forums to protect marine mammals, wildlife and their habitat. We have been involved in international trade policy for over fifteen years and have been a member of the Trade and Environment Policy Advisory Committee (TEPAC) since 1998. In 2003, HSI and HSUS further expanded their international trade program to include trade capacity building and environmental cooperation. HSIs trade capacity building projects in developing countries focus on a number of environmental and economic areas including: habitat protection, sustainable agriculture, sustainable tourism, strengthening civil society participation and transparency, and advancing sustainable development and economic prosperity. HSI became involved in the DR-CAFTA through my membership on TEPAC. In late 2002, HSI volunteered to be part of the capacity building committee of TEPAC to explore ways in which groups could address the environmental and economic needs of the Central American countries prior to the official launch of the DR-CAFTA negotiations in January 2003. HSI staff met with the United States Trade Representative (USTR) and other U.S. government agencies, as well as with development banks and other NGOs, to discuss approaches to the priorities of the Central American countries as set out in each national action plan. To my surprise, there were a number of environmental, habitat and animal protection priorities listed in those national action plans. HSI saw an opportunity to work with countries that were willing to improve their environment and national policies to protect species and habitat while at the same time promoting economic development, with the intent to provide hope and opportunity to their people. In my many years of working on animal protection issues, usually the greatest challenge is getting governments to recognize and focus on problems. However, rather than denying the problems or the tough environmental and economic issues facing the region, the Central Americans instead asked how we could work together to solve these problems and improve the situation. In developing a trade capacity building program in the region, HSI did not attempt to impose its views on Central America. Rather, we listened to their priorities and needs, and together developed programs that fulfilled our mission of promoting the protection of all animals and met the Central Americans strategy for capacity building. As a result of this approach, HSI is viewed by each of the Central American countries, not as a threat, but as a partner. I and my staff were greatly impressed by how open and inviting the governments and the people of Central America were to us and to improving the environment and protecting animals. In my opinion, the momentum brought about by the DR-CAFTA has brought the issues of protecting the environment, habitat and species protection, and the need for balancing environmental protections and economic development to the forefront in Central America. The Central Americans are willing to work hard to address the difficult environmental and economic issues facing the region they are asking for our assistance, our friendship and our support. HSI has spent the last two and a half years traveling to and working in Central America. With the assistance of a matching grant from the U.S. Agency for International Development (USAID), HSI is working with partners in each of the Central American countries on a number of trade capacity building projects. I would like to share some examples of these projects today to demonstrate how a U.S. NGO can work with local NGOs, the private sector and governments to improve sustainable development, environment, and animal and habitat protection. Organic Cacao Project: HSI is working with a private company to assist small cacao farmers in each of the Central American countries to reduce production costs, improve land management and improve efficiency. The long-term goal of the project is for these farmers to obtain organic certification. The costs of certification will be lowered because the farmers will be certified as part of an association. The company will then recognize the added-value of the shade grown cacao and pay the farmers the higher price for the organically certified cacao. We are very interested in the project because shade grown cacao provides a habitat for migratory birds and other wildlife, and reduces the amount of toxic chemicals and pesticides in the surrounding environment. Sustainable Agriculture: HSI is working with the livestock and pork associations in Central America to make their industries safer, more environmentally friendly, and in furtherance of HSIs mission, more humane. Convention on International Trade of Endangered Species of Wild Fauna and Flora (CITES): HSI and the CITES Secretariat hosted a regional CITES capacity building workshop for the countries of Costa Rica, El Salvador, Guatemala, Honduras, and Nicaragua, as well as the Dominican Republic and Panama. Participants included government officials responsible for CITES implementation as well as local rescue centers who receive animals confiscated by the governments. The workshop examined basic CITES procedures and served as a platform for each country to begin contemplating regional and national strategies to stop the illegal trade in wildlife. HSI is currently organizing follow up national workshops focused on improved enforcement of CITES in Central America. Trade and Environment Outreach Events: HSI, together with the Ministries of Foreign Trade/Economy and local NGOS, organized a series of trade and environment events in the Central American countries. These events have served as an opportunity for the Central American governments, HSI, local NGOs, and U.S. government agencies to promote information sharing and discussion on the text of the Environment Chapter and the Environmental Cooperation Agreement of the DR-CAFTA. These efforts improve the information available to civil society and strengthen transparency in Central America. The Environment Chapter of the DR-CAFTA is a more complete chapter than that of previous free trade agreements. It includes many important provisions that will help to promote improved governance and stewardship in Central America and the Dominican Republic. The Parties to the Agreement undertake many obligations perhaps the most important is the obligation to effectively enforce environmental laws and to strive to improve their environmental laws and policies. This obligation is subject to dispute settlement between the Parties and may result in monetary assessments of $15 million. This is not an insignificant amount for countries that include among their members two of the poorest countries in the Western Hemisphere. Although some criticize the DR-CAFTA on the basis that it does not go far enough, I question this conclusion based on the clear language of Article 17.2 (Effective Enforcement). The Parties undertake to effectively enforce their environmental laws. Now as I understand it, domestic environmental laws also include multilateral environmental agreements (MEAs) ratified by a Party because those laws become part of the domestic law. So CITES, for example, must be effectively enforced by each of the DR-CAFTA countries. Failure to effectively enforce this important MEA could lead to dispute settlement, a public submission and possibly the development of a factual record. No country would relish any of these possibilities and so this obligation is important and in my opinion, has teeth. Another important aspect of the Environment Chapter of the DR-CAFTA is that it includes a public submission mechanism that allows any group in Central America or the United States to take their government to task for failure to effectively enforce environmental laws. An independent secretariat is designated to receive submissions on enforcement matters and in cases where such a failure is demonstrated, to develop a factual record. These provisions empower Central American and Dominican civil society, NGOs and the private sector to have a voice in their countrys environmental polices, programs and enforcement regimes. I want to take a moment to publicly recognize and commend Senator Max Baucus, a Member of this Committee, for his outstanding leadership in developing these innovative provisions with USTR and the Central American and Dominican governments. In addition, as a member of TEPAC, I particularly recognize the importance of public participation in the development of trade and environment policy. It is crucial for both the governments and for civil society, NGOs and the private sector, to remain engaged in environmental and economic development issues. For this reason, HSI believes the inclusion of the provision in the DR-CAFTA requiring each Central American country and the Dominican Republic to set up advisory committees at the national level to provide advice and guidance on trade and environment issues is also very important. Concurrently with the FTA negotiation, the Parties negotiated an Environmental Cooperation Agreement (ECA). The ECA provides a foundation for long-term cooperation and assistance on environmental issues, programs and policies. Although HSI supports the efforts of the United States to promote enhanced environmental cooperation in Central America, we are concerned about the level of financial commitment to these efforts. For example, ensuring that the public submission mechanism works as intended including building the capacity of local organizations to participate effectively in the public submission process, strengthening the ability of Ministries to enforce environmental laws (including CITES), training of government officials on how to set up national advisory committee systems, and ensuring transparency and openness by communicating issues to civil society will all require a great deal of funding and technical assistance. We hope that the United States Congress and the Executive Branch ensure that these programs have adequate and long-term funding at appropriate levels. HSUS and HSI support the far reaching and innovative environmental provisions of DR-CAFTA. We support the continuing partnership and assistance for environmental protections represented by the Environmental Cooperation Agreement. For these reasons and because we have the greatest respect and admiration for our Central American partners and friends, HSUS and HSI support the Environmental Chapter and Environmental Cooperation Agreement of the DR-CAFTA. We share a hemisphere, a history and a future let us ensure that future is a bright one for all our people. Thank you very much for the opportunity to be here today. I look forward to your questions.